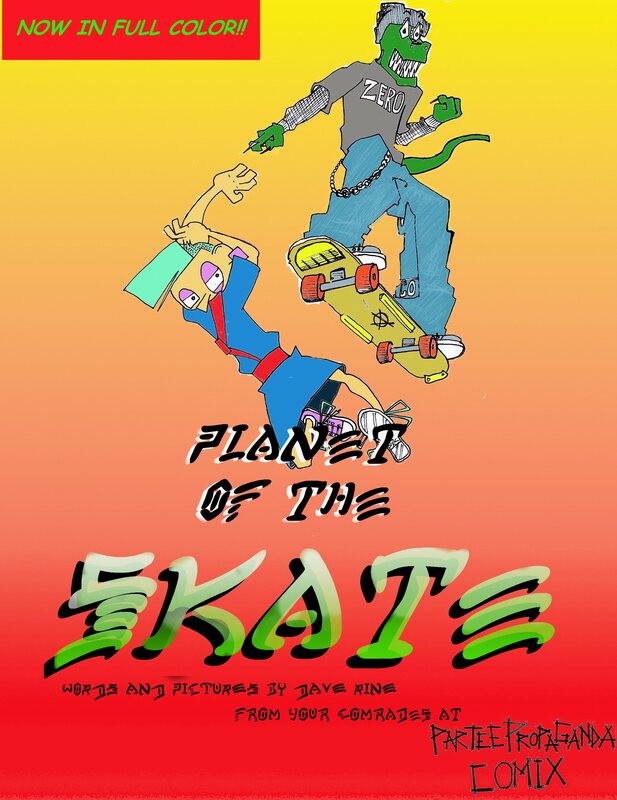 PLANET OF THE SKATE, the new title from Partee Propaganda Comix is coming to Kindle Direct for free starting this Friday, May 23. Here’s an early look at the cover. ORGANIZE ROCHESTER! ALL FLOUR TO THE PEOPLE!! !